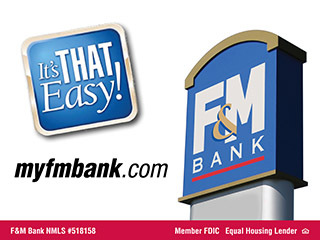 Clarksville, TN – A trio of clever goats, a big bad wolf, a few resourceful pigs and a little man who spins straw into gold are tagging along with everyone’s favorite crimson-cloaked girl as she heads to the corner of Franklin Street and First Street in downtown Clarksville. Fairy tales beloved by young and old alike will come to life at the Roxy Regional Theatre in “Little Red Riding Hood and Friends” for three consecutive Saturday afternoons, January 23rd – February 6th. The Roxy Regional Theatre brings “Little Red Riding Hood and Friends” to the stage this Saturday, January 23rd, 2016. The classic tale of “Little Red Riding Hood” will be accompanied by the stories “The Three Little Pigs,” “Rumpelstiltskin” and “The Three Billy Goats Gruff” — although not necessarily in that order. In an interactive twist on the conventional theatre experience, children in the audience will choose from a hat the sequence of stories for each performance. This collection of children’s favorites, adapted for the stage and directed by John McDonald, features Lacey Connell, Tyler John Morrill, Jackie Ostick and Emily Rourke and is filled with life lessons such as the importance of eating healthy, doing well in school, showing good manners, minding your parents, and practicing honesty. 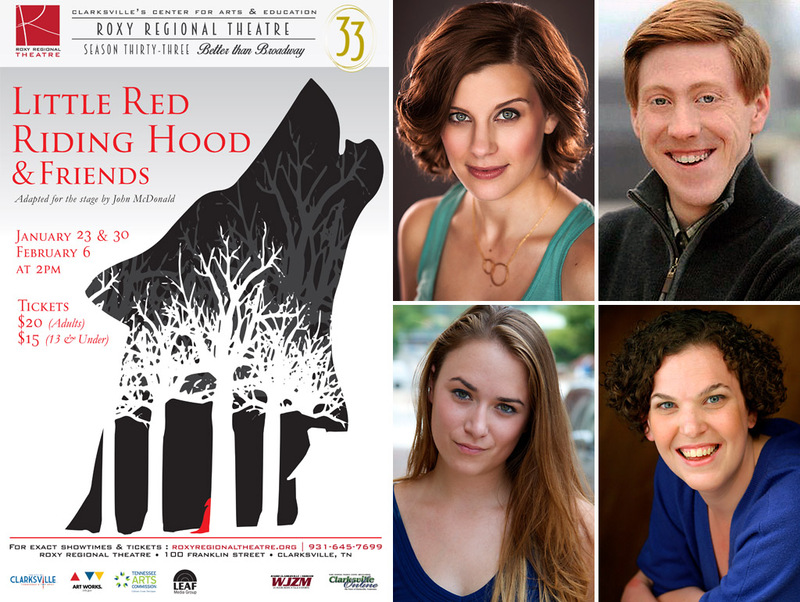 Roxy Regional Theatre’s “Little Red Riding Hood and Friends” features (Top L to R) Lacey Connell, Tyler John Morrill, Emily Rourke and Jackie Ostick. Tickets are $20.00 (adults) and $15.00 (ages 13 and under) and may be purchased online at www.roxyregionaltheatre.org, by phone at 931.645.7699, or at the theatre during regular box office hours (9:00am to 2:00pm, Monday through Friday, and one hour prior to curtain). 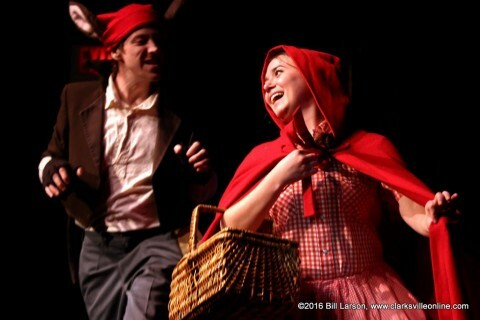 This production is made possible in part through the generous support of Jimmy and Lena Orgain.